Nationwide, patient falls during hospital stays are a leading cause of death and disability. In fact, hospitalization itself appears to increase a person’s fall risk. A nationwide study found that about three percent of patients fall while in the hospital, while nearly 30% of those who fall sustain injury, adding an average of 6.9 days to a hospital stay. Consider that the average cost of a fall-related injury in hospitals was $14,000 in 2011, and that those costs are no longer reimbursable under Medicare. Plus, in order to achieve Magnet designation, a hospital’s patient fall rate must be consistently below the national average. It’s no surprise that hospital leaders see an urgent need to reduce patient falls. The problem is, they don’t always know where to start. Using this information, we developed and tested an electronic health record-based version of the Fall TIPS tool. This was the first randomized control trial for hospital fall prevention. Over 6 months, we found that the number of patient falls dropped by 25%. After this initial study, our next goal was to identify a way to spread Fall TIPS outside of the electronic health record. Specifically, we wanted a “low tech” way to provide the clinical decision support needed to link fall risk factors to evidence-based interventions in any hospital. We also wanted a tool that would make it easy for nurses and other clinical staff to engage patients and family in the fall prevention process. Today, over a decade since we conducted our first clinical trial we know that while patient falls are a common problem, they can be prevented using the Fall TIPS tool. 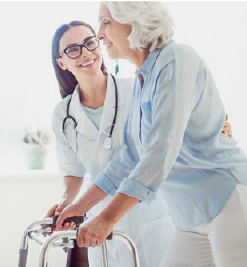 As a result of what we learned studying hospital patient falls for over a decade, our project team at Brigham & Women’s Hospital in Boston, MA developed and tested “Fall TIPS,” a fall prevention tool kit that consists of a formal risk assessment and tailored plan of care for each patient. We implemented the individualized assessment and care plan consistently with every patient on participating units, using both EHR-based tools and paper tools, to meet the needs of diverse hospital environments. Since putting Fall TIPS into practice in units at Brigham & Women’s Hospital and at other participating hospitals, we have seen the number of patient falls drop by 25% on units where interventions applied, compared to control units. Data collection on fall with injury rates and a cost-benefit analysis of using the tool is ongoing. Please join us and take this important step in reducing patient falls in your hospital.